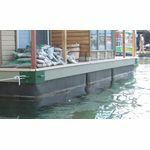 Heavy Duty Boat Lift Air-filled Dock Floats | BARR Plastics Inc.
Our heavy duty air-filled dock floats are made from a one piece roto-molded virgin-grade polyethylene outer shell, with a heavy 3/8” wall thickness for structural strength. Molded-in mounting holes are located around the rigid top edge of the float. Threaded fittings or holes can be placed anywhere on the floats as needed to allow water & air intake and exhaust. 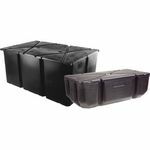 These HD air tanks are designed to permanently float floating structures such as House Boats, Boat Houses and Docks and make it possible to adjust buoyancy in whichever area of the structure needed. These air floats are also widely used by marine contractors as temporary floatation for on-the-water building and maintenance activities. 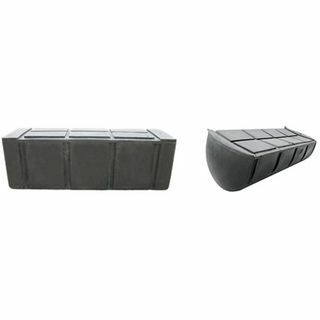 As with all our dock floats here at BARR, these air-filled floats are resistant to UV rays and damage by animals, ice, bumps by watercraft and contact deterioration from petroleum products.